As we gear up to have a massive Voter Registration, Education and Mobilization Campaign here in Philly and across the Commonwealth. As we prepare to mobilize a host of volunteers, help seniors, college students, people of color and people with disabilities get the proper ID and get anyone who needs assistance get to the polls. It’s going to take a lot of foot soldiers and lots of dollars. Therefore we are asking that you please help us by donating a mere $10.00 by Texting to NAACP10 @ 27138 or you could always do more by texting NAACP20-30-40- and so on. Shortly after you text you will receive a confirmation text followed by a phone call from someone from our call center team who will collect your payment information. 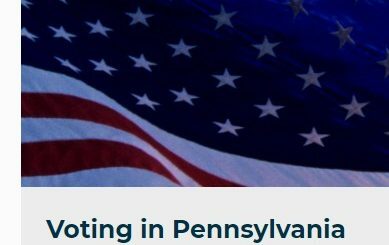 Please help us protect Voting Rights in Pennsylvania. Please Help!